Allow us to handle your removals in Southampton, have a successful and stress-free move, and join our ever-growing list of happy customers. 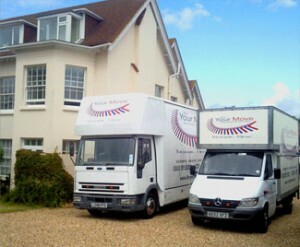 No two moves are the same and we pride ourselves on our careful planning and attention to every detail of your removal; whether it’s the delicate handling of an antique sofa or the efficient moving operation of a six-bedroom property. Entrusting your belongings to a stranger can be very difficult. Understanding your concerns as we do, we are keen to demonstrate in every move that we meet and exceed the level of trustworthiness and care with your possessions you would expect. Our 15 years of experience ensure that our operations run smoothly and with speed. Our vehicles are all spotlessly clean and very well equipped. Our staff are efficient, polite and uniformed. We offer a professional, reliable and friendly service. We will work any day or night 7 days a week 365 days a year. Where possible we will accommodate requests at very short notice. Our trucks also boast custom-made garment carrier rails and wardrobe cartons that ensure your clothes do not get creased or marked.